Thesis Title: "The Metrics of Spacecraft Design Reusability and Cost Analysis as Applied to CubeSats." Thesis Title: "The Application of Systems Engineering to a Space-based Solar Power Technology Demonstration Mission." 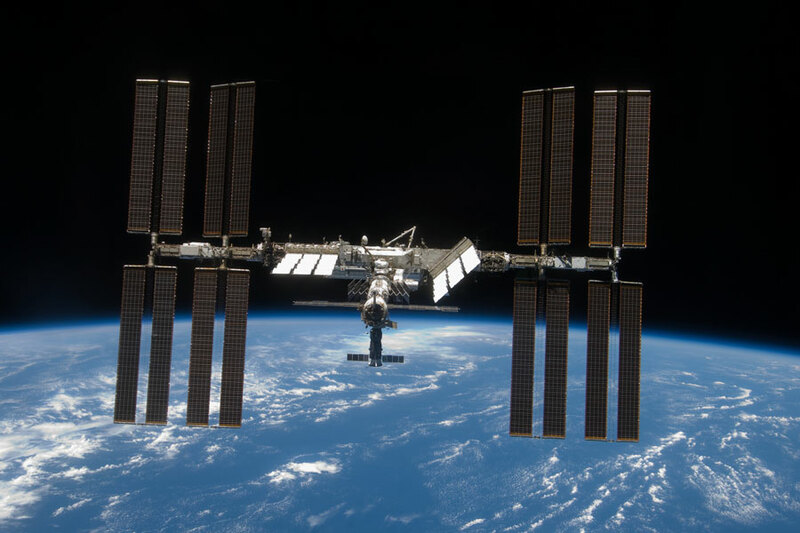 The following Case Study discusses the Systems Engineering aspects of the International Space Station. The Case Study was commissioned by NASA and the Air Force Institute of Technology. It also appears on the AFIT website (http://www.afit.edu/cse/index.cfm) as part of the Air Force Center for Systems Engineering. WASHINGTON, DC, Date TBD - Space Systems Engineering, a new massive open online course or MOOC from NASA and the Saylor Foundation, launches on Monday, March 3, 2014. The six-week general-audience course is available to the public at no cost and provides a unique opportunity to learn from and alongside NASA's engineers. Students who participate can earn a free certificate. The Space Systems Engineering MOOC, the result of a months-long collaboration between the non-profit Saylor Foundation, Washington, D.C. and personnel from NASA, examines basic systems engineering and teamwork as well as project life cycle, scoping, requirements, and trade studies. Foundation staff contributed technical, audio-video, and instructional design support, while course content consists of existing and augmented NASA materials. 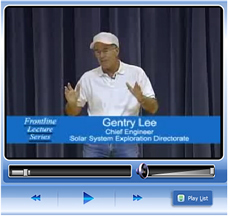 Video lectures from personnel supporting the James Webb Space Telescope and the Transiting Exoplanet Survey Satellite missions at NASA's Goddard Space Flight Center in Greenbelt, Md., form the backbone of the lessons. NASA project manager Jeff Volosin, NASA mission systems engineer Mike Menzel, and Nobel Laureate Dr. John C. Mather will provide the lectures. "This is a good way to understand the big picture of what system engineers do; you have to understand how you fit into the team," said Jeff Volosin, project manager for the Transiting Exoplanet Survey Satellite mission, one of the main instructors during the course. "Whether you are going to be a systems engineer or work with them you have some background because every engineer has to work in an area where systems engineering is a part of their life." Students can enroll prior to March at the course registration page and may also join the course at any point thereafter. Each week, registered students will receive an email detailing their assignments, questions for discussion, and opportunities to interact with one another and course designers, including NASA staff, through discussion forums. The many contributing materials to this course are all in the public domain and will remain on the Saylor Foundation's website indefinitely. Regardless of when they join the course, registered students will be able to revisit the materials whenever they wish and can incorporate the resources into other learning objects. In this respect, the Saylor Foundation's take on space systems engineering serves a continuing role as open courseware built entirely of open educational resources. The content for this MOOC was derived from a more extensive course developed by NASA engineer Lisa Guerra, during her tenure at The University of Texas at Austin. The original space systems engineering course is intended for undergraduate engineers as a supplement to their capstone design work. Welcome to the Space Systems Engineering Website! Sponsored by NASA's Exploration Systems Mission Directorate and the Texas Space Grant Consortium. The Space Systems Engineering website exists to disseminate curriculum materials to interested faculty. The systems engineering materials were developed by Lisa Guerra (NASA Headquarters / Exploration Systems Mission Directorate) and piloted in the Department of Aerospace Engineering at The University of Texas at Austin. The intent is for the curriculum to be transferable to other universities operating within NASA's Space Grant Consortium. The full systems engineering course, available here, was designed as a 3 credit hour prerequisite to the senior-level capstone spacecraft/mission design course. â€¢	"It was a â€˜big picture' view of what we may be involved in as engineers of the future." â€¢	"Taking this course makes an engineer realize there is much more to engineering than designing a given component to a set specification. This course really teaches all the factors that go into producing a viable space system, and some tools to achieve that end." â€¢	"Everything we've learned will be applied to our jobs, regardless of the engineering position we will have." As an interested visitor to this website, you are also welcome to add related content and discussion points. In addition, as NASA continues to sponsor the development of systems engineering curriculum, new materials will be included over time. For additional information regarding the contents of this website, refer to the frequently asked questions section.